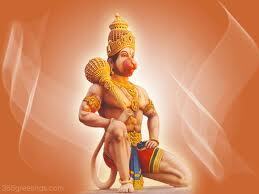 Anjana sutha Stotram is a great and rare prayer addressed to Lord Hanuman as son of Anjana. Who is peace personified grants fame and gives true spiritual wisdom. Who always increases courage to do good and who enjoys the devotion of realised souls. Who grants us devotion to Lord Rama and always sings the name of Lord Rama. Who Grants us devotion leading to salvation and creates us great sense of detachment. Who by himself is very great and is the teacher who gives us wisdom. Would he not be Definitely remembered with great respect?